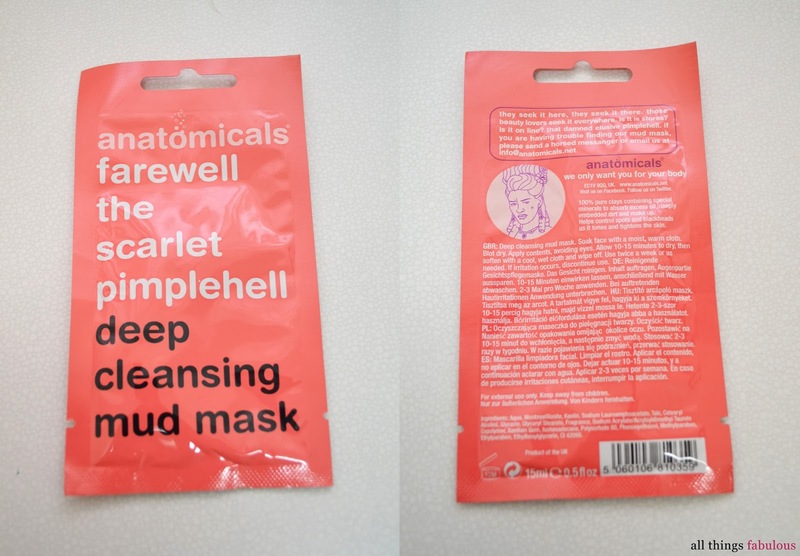 Tried and Tested: Anatomicals: The Mask Chronicles 1: Farewell the scarlet pimplehell- Deep Cleansing Mud Mask! Hope you are all doing splendidly! Today's post will be the first of three reviews which I will be calling the Mask Chronicles! 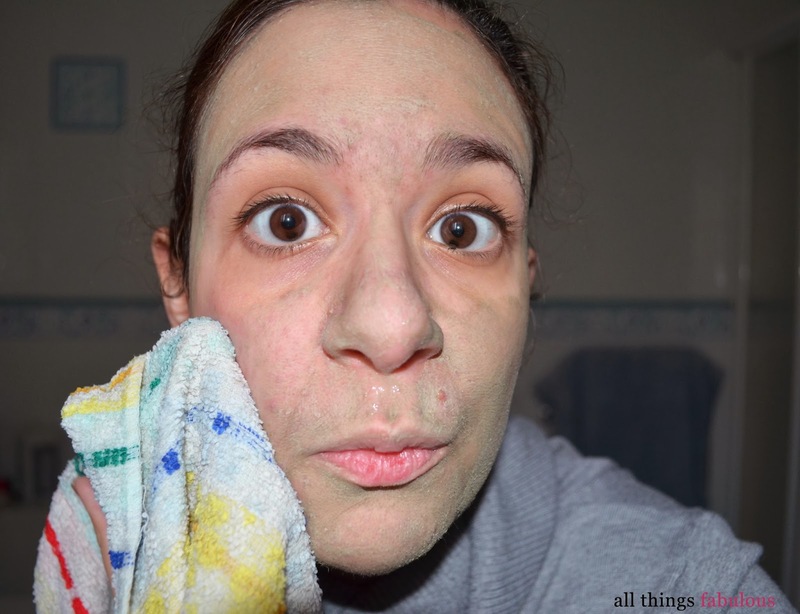 The first mask I decided to try out first is the "Farewell the scarlet pimplehell: Deep Cleansing Mud Mask". 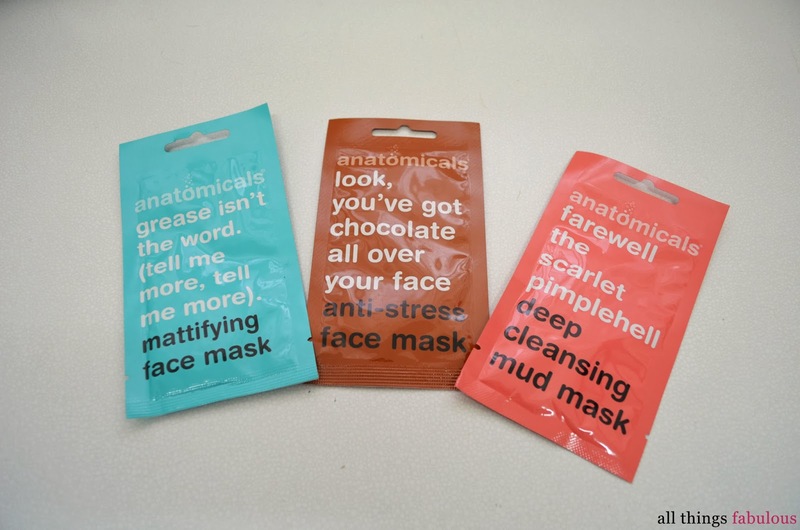 The product comes in a plastic sheet containing 15ml/ 0.5 fl.oz, not your average mask packagining, however, the brand itself is all about tongue-in-cheek and taking the fancy out of your skin care regime and providing excellent products! The Mask is a pure clay developed to absorb excess oil, deep embedded dirt and make up whilst helping to control spots, blackheads and pores whilst tightening the skin. 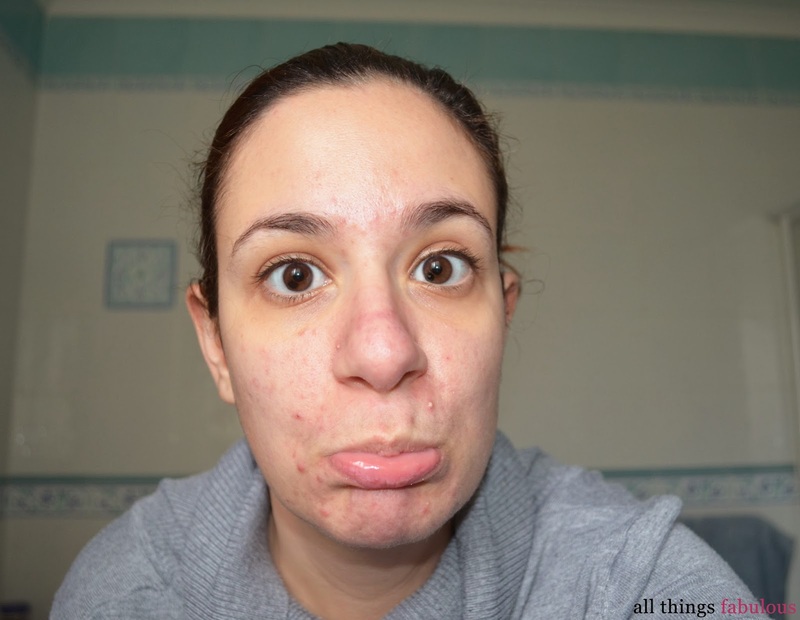 The first time I used the mask, my face was breaking out horribly and felt really dirty and congested! 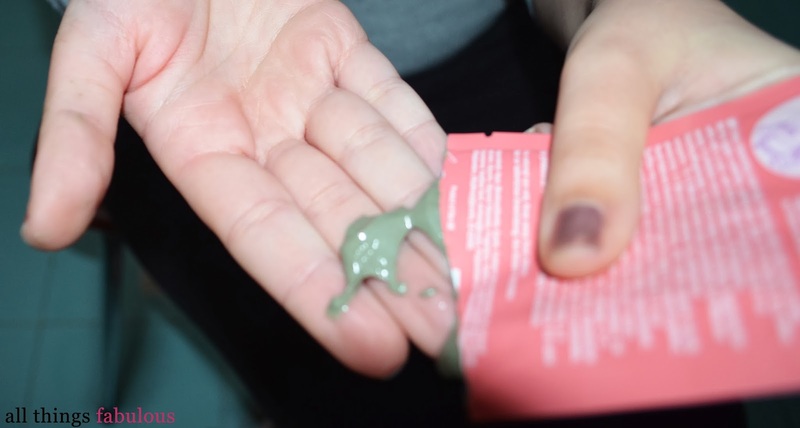 The contents of the sachet itself will serve you for up to 2-3 times of use, obviously don't be super generous with the amount you use, a little can go a long way! Et Voila! Cue funny pictures! I'm not a happy puppy! 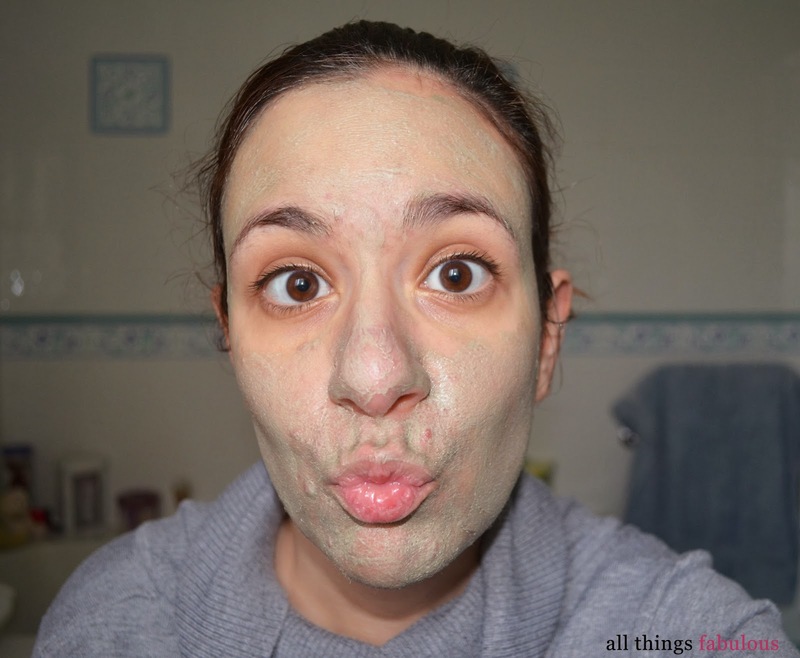 When applying masks, it is a must to pull silly faces! My first impressions of the mask were very good. The mask itself is very refreshing and I did feel as though it sucked all the dirt out of my face! 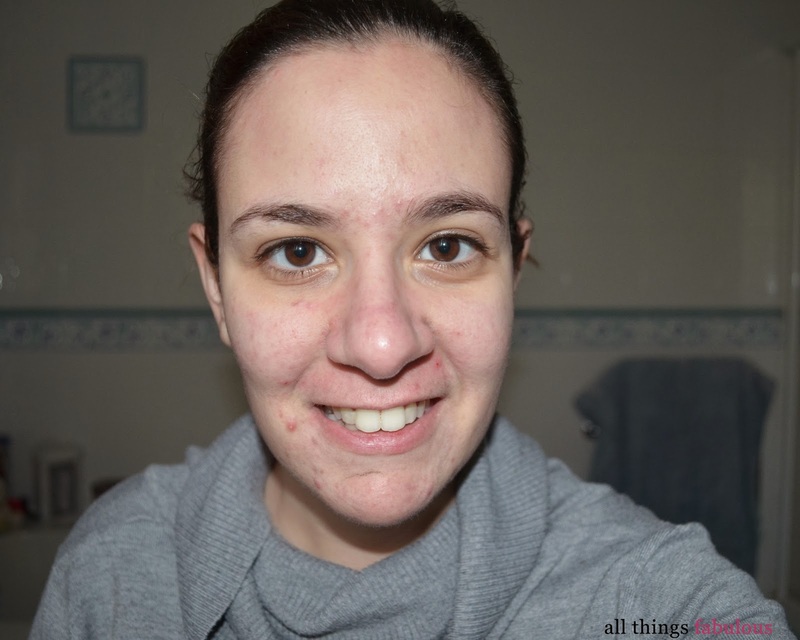 With regards to spots and blackheads, at first I didn't notice any noticeable difference, however, the day after I applied the mask, my face looked much more clearer than in the above picture! *Disclaimer*- I was given this product for free, however, I was not paid to do this review. The above review is of my true and honest opinion! Last week I was invited to an event hosted at Bling Bling where I had the opportunity to view the wide collection of jewellery together with a make up demonstration that was being done together with Colour Me Beautiful! Since this was a relaxed/ intimate event I chose to wear a cute floral tunic dress from New Look! I have never worn tunics in my nearly 25 years of life, and I am obsessed!! I also wore a fabulous waterfall blazer keeping it smart but casual at the same time! I also had the pleasure of getting my hair done at Dean Gera salon by the fabulous Graziella who gave me a relaxed wave look which I absolutely loved!! For my make up, I went with a one colour smokey eye and paired it up with my new Make Up Store lipstick.. OBSESS!! Diet Diaries: It's OK to fall off the wagon! Another two weeks (well two weeks and a few days) and another diet diaries are coming your way! Unlike my previous posts, I am going to cut right down to the chase, as the name suggests, I think you know what's coming! 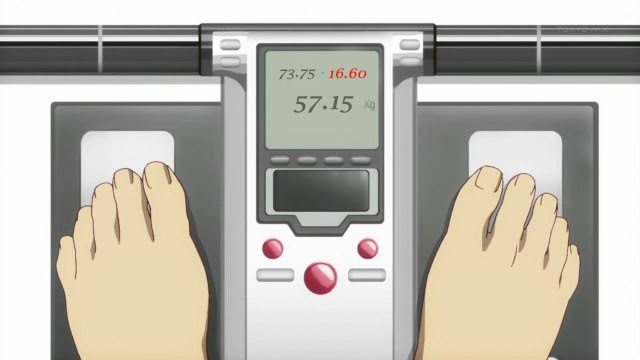 Yes, instead of reaching my target weight, I have put on weight AGAIN and grew an inch on each area of my body! Why? I fell off the wagon! These past two weeks were full of change, granted there was good change in my life but these two weeks saw me contemplating on a number of things and unfortunately I ate my problems out! In a way I was kind of grateful that this happened because it means that I haven't been eating right and I was in dire need of a huge wake up call to keep me from falling back to my old habits! After taking a good look at myself, I realised that eating your problems away never got anyone anywhere! At times I see that many people go through what I go through everyday. Many of my friends tell me time and time again that instead of investing their frustrated energy into something else, they see themselves eating their heart out and in return, something which I ended up doing these past two weeks! Although I am at a healthy weight and the gain is not evident in me, I am the kind of person who sets certain goals and aims to achieve them, so I won't give up on something just because I was too lazy to stick to my diet! So let's get on that wagon again and try to reach that target weight! If you have been wondering, my mum on the other hand is doing great! I am so proud of her! 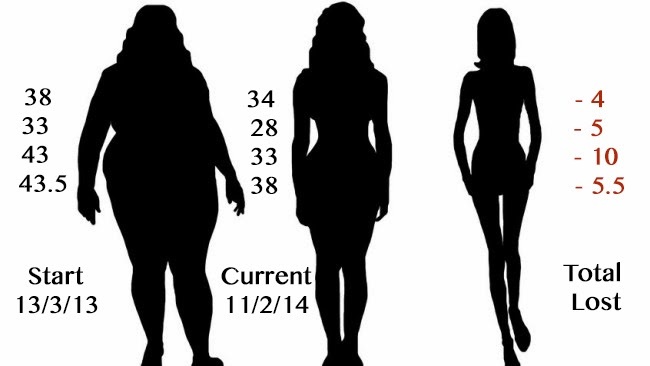 She already lost around 3 kilos and I can already see her confidence go up! Yay Mummy!! So with these final words, I bid thee farewell and remember IT'S OK to fall off the wagon! At the end of the day, it's more satisfying overcoming challenges! e-xclusive in a fabulous new online retail brand which specialises in unique pieces. I was lucky enough to get my hands on this super awesome bodycon dress which I adore!! Not only did it fit like a glove but the dress itself is so versatile and unique that wearing it made me feel like a million bucks!! The beautiful embossed detail of the dress including the zipper make the dress even more special than your average monochrome dress! 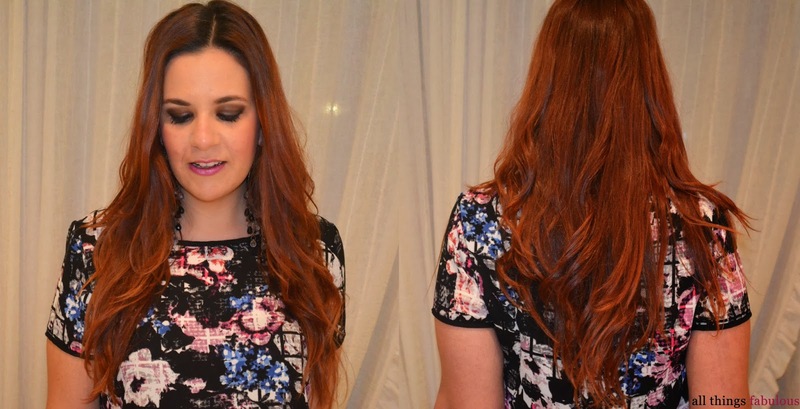 My favourite detail is probably the subtle asymmetrical back of the dress! Moreover, this dress was super comfortable to wear and so easy to put on... hassle-free no make up smudging bodycon! YAY!!! Since it was cold outside, I paired it up with a 3 quarter double breasted jacket! Check out the gorgeous detail of the dress!! I hope you liked this look!! *Disclaimer*- I was sent this product for free, however, I was not paid to write this post! Fabulous Giveaway: Win a $30 voucher with Firmoo! I hope you are all well!! Today I have a special post for you!! Together with Firmoo and 4 Sponsor, I am hosting a giveaway were 5 lucky winners can WIN a $30 voucher from www.firmoo.com! Firmoo is the World's Most Popular Online Eyeglasses Store. Firmoo offer customers with the best quality products at the most affordable prices which start at 8 dollars- 80%-90% lower compared to that in local store. Furthermore, Firmoo has launched First Pair Free Program for new customers to test their products and service for free by paying shipping only! Awesome right?! How can you win this giveaway? Simple! Visit http://www.firmoo.com/classic-series.html and tell me which frame you like in the comments below!! Please include your name and email address! 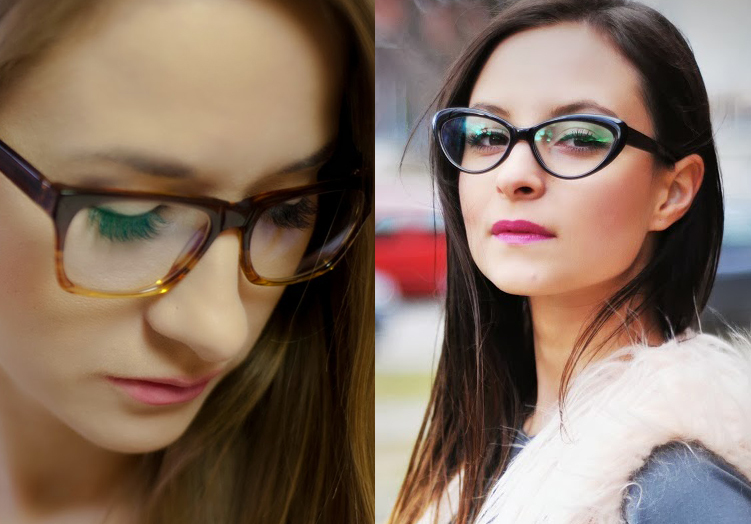 To further your chances of winning, share the First Pair free link: http://www.firmoo.com/free-glasses.html and tag my facebook page https://www.facebook.com/allthingsfabulousblog and Firmoo's facebook page: https://www.facebook.com/FirmooGlasses in your post! You have until the 23rd of February to enter this giveaway and guess what?!?! you may also be in the chance to win a free pair of Firmoo glasses! *Disclaimer*- This giveaway is sponsored by Firmoo.com and 4sponsor.com! 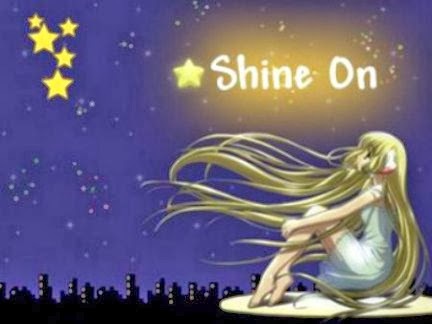 Tag Post: Shine On Blogger Award! I am an afternoon/ night person... I usually get things done better, be it studying, chores etc in the afternoon or at night! For the past two months or so, I watched the Shaytards daily vlogs everyday before sleeping! I have four best friends... these four have been with me through thick and thin and I would go nuts if I don't have them in my life! I am a very social person and enjoy doing several activities! I am part of a voluntary organisation ZHN and part of the section called Symphonik which one of it's projects is Symphonik Choir which I not only sing in but I am part of the decision making process and organization! I am also part of a CLC group called Horizon which I have been part of for the last eight years! I sometimes do not like doing these kind of posts since they can get repetitive, however I like these kind of posts since it encourages community building within the blogging-sphere!! Hope you are all doing well!! We were given an Eva Garden Nail Polish in this winter's top shades! The shade I was given was 382, a metallic brown shade! This polish comes in a sleek bottle and contains 10 ml/ 0.33 fl.oz. The nail polish goes on smoothly and is very easy to apply! 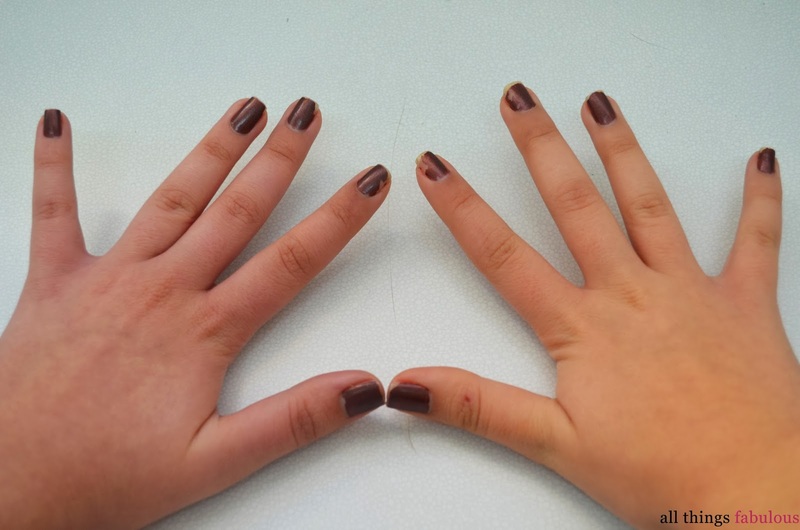 With regards to pigmentation, after one coat, the nail polish is quite pigmented, however, to achieve the best results, two coats are suggested! I wore this nail polish for around a week. As you can see from the above picture, I had a lot of chipping, however the chipping started to appear nearer to the end of the week. I absolutely love the colour of this polish since this kind of brown usually ages the person, however, the formula and finish of the colour makes it more wearable and fashion forward! OOTD- Me Likey, You Leather! Although I have been very tempted during these sale periods, I have been very good and only bought two items, yes, you have read correctly just two!! One of the items is a fabulous quilted leather skirt which I was lucky to find at New Look!! I have to be honest, I did have a love/hate relationship with leather for a very long time but ever since I have been following the blogging/ fashion world and getting inspiration on how leather can look right, I have seen my like for leather growing! Since the sun was out and I wanted a lunch appropriate look, I decided to go with an off-shoulder top with leather details paired with a relaxed beige blazer and my maroon statement necklace! I have re-discovered my love for hoops so I have been wearing them quite regularly! I hope you enjoyed this look! !